Edgeworth Appliance of Malden MA is a local sales and service company for all major home appliances. We were established in 1962 and not only provide service for Malden, but also the Greater Northern Boston North surrounding communities. • By providing personal and honest service since 1962 - over 55 years. • Because we are local and stay local but understand our customers. • We maintain some of the lowest rates for our industry. • Your appliance gets repaired the same day. 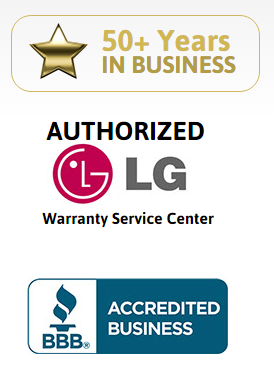 • We double manufacturers part warranty. • We guaranty all our work. • We offer senior discounts. Its important to know that we have experience repairing virtually all the major brands on the market and some that have even gone off the market. If haven't heard of it before - we have. We combine years of experience with your old favorites and continually stay ahead of new designs and repair techniques. In this economy, it may be smarter to do the repair. You can trust David to tell you which is the best option for you.